Police are searching for two people following a shooting in Kendallville late Monday. They have a warrant charging 27-year-old Kyle Gibson of Kendallville with aggravated battery. Citizens are cautioned not to attempt to detain Gibson who is believed to be armed with at least two guns. 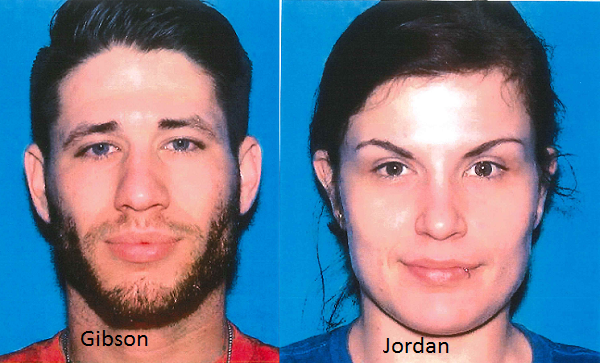 26-year-old Alexis Jordan is believed to be accompanying Gibson. They may be in a blue 2008 Chevy Impala with Michigan registration DYS3000. Kendallville Police received a report of shots fired near Main and Wayne Streets at 11:05 Monday night. While responding to that location another call came in from Parkview Noble Hospital saying a man with a gunshot wound was dropped off and left by two unknown persons.